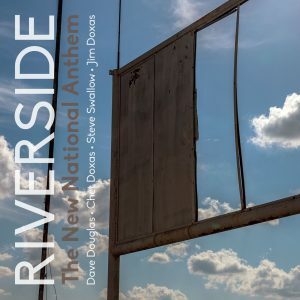 The new Riverside album, The New National Anthem, will be released on July 16! Co-led by saxophonist Chet Doxas and trumpeter Dave Douglas, the quartet features bassist Steve Swallow and drummer Jim Doxas. The group releases their sophomore album inspired by the pianist and composer Carla Bley. The album features three compositions by Bley, as well as songs by Douglas, Swallow and Doxas. The album is now available for pre-order on Bandcamp. And the group will tour this summer in the US and Canada. Check out the tour dates here.